Make the BBQ chicken however you’d like! 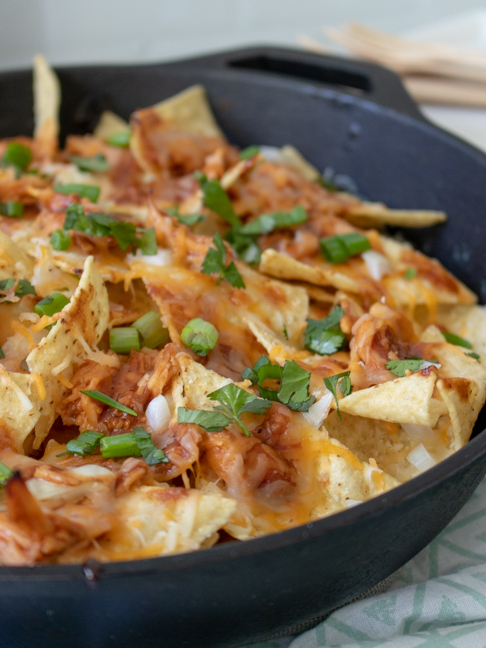 I find that the easiest way is to cook it in my Crock Pot, shred it and use it for nachos as well as a set of BBQ chicken sliders (a favourite in my house). It reheats or freezes well once cooked, so the more leftovers, the better. 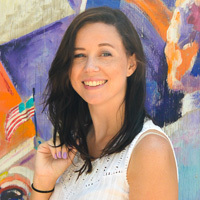 Otherwise, you can use rotisserie chicken or cubed oven-baked chicken and toss it with BBQ sauce for all the same flavor! Add any additional toppings your family loves, like tomato, bacon or avocado. 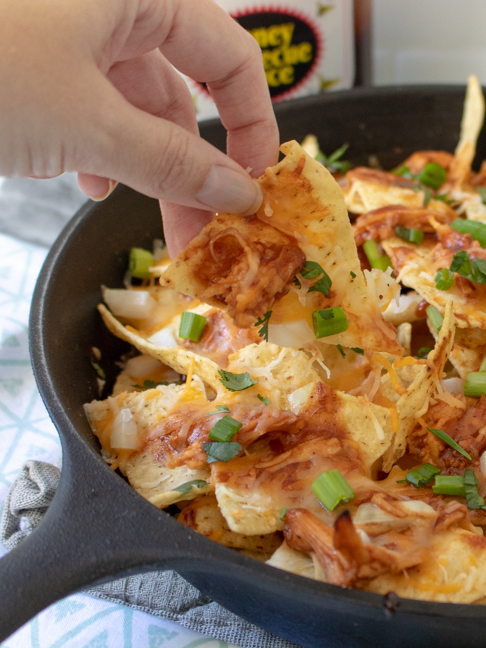 With these nachos, more is more. 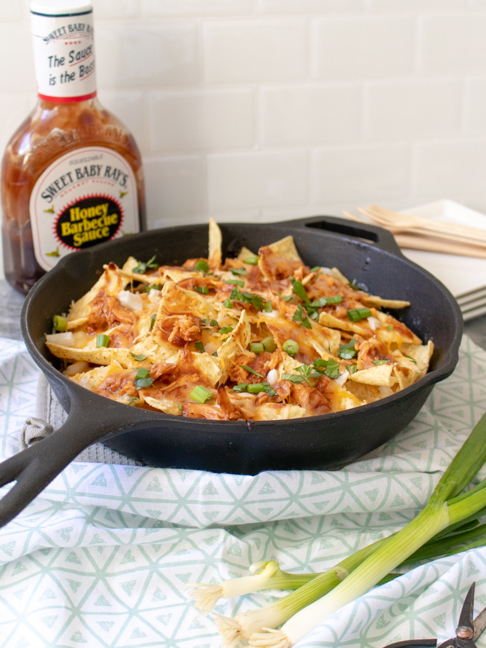 Here’s how to make skillet BBQ chicken nachos for your next game day event or Saturday afternoon snack! Step 1: Place chicken (if using frozen, thaw first) in a small slow cooker. Coat heavily in BBQ sauce and cook over high heat for 3-4 hours or low heat for about 6 hours. Step 2: Once cooked, shred chicken and return to the slow cooker. Alternatively, you can use any cooked chicken and toss with BBQ sauce. 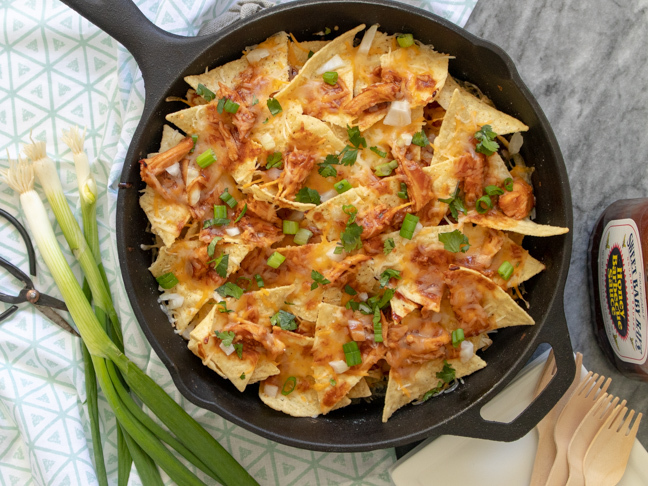 Step 1: Preheat oven to80 degrees C.
Step 2: In an oven-safe skillet, arrange a single layer of tortilla chips. Top with shredded BBQ chicken, then cheese. Sprinkle with onion and additional BBQ sauce. Step 3: Add a second layer of chips, chicken, cheese, onion and sauce. Layer until skillet is full. Step 4: Bake for 10-15 minutes until cheese is melted. Immediately top with green onions and coriander, if using. Add other toppings, like avocado, as desired and serve immediately. Make extra shredded BBQ chicken in your slow cooker for making sliders! It reheats easily over several days.